Unique, intruiging and set in a magical and beautiful setting, il sorger del sole country house is a unique historic listed stone farmhouse set on the tranquil hillside of Colle S. Giorgio set in gardens and grounds of over 4 acres. Ancient olive groves with magnificent panoramic views of the valley, distant medieval towns on hilltops, Monte Conero and the Adriatic Sea. The olives are traditionally picked by hand in November and produce one of the finest olive oils in Italy. 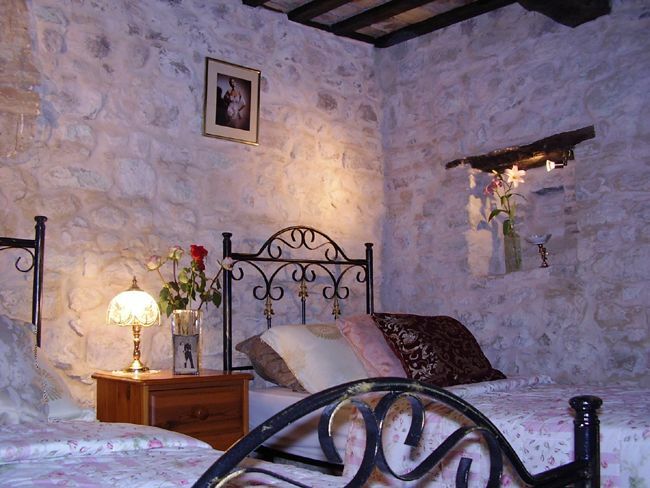 Il sorger del sole offers guests comfort and calm within its aged stone walls. The house has been lovingly restored and retains many original features such as ancient oak beamed and handmade tiled ceilings, exposed internal stonework and floors of stone and brick. Your character guest room is individually designed and stylish, very private and exclusive. You are assured of a very warm welcome, fine hospitality, relaxing accommodation, a restful serenity and the opportunity to experience the real Italian lifestyle - la dolce vita! We aim to make your stay perfectly enjoyable and together with our welcoming accommodation we offer a friendly attentive service that makes you feel relaxed and completely at home. Il sorger del sole is the perfect retreat for a relaxing holiday or break. The castle like stone walls of the house make it refreshingly cool in summer and warm and cosy in winter. 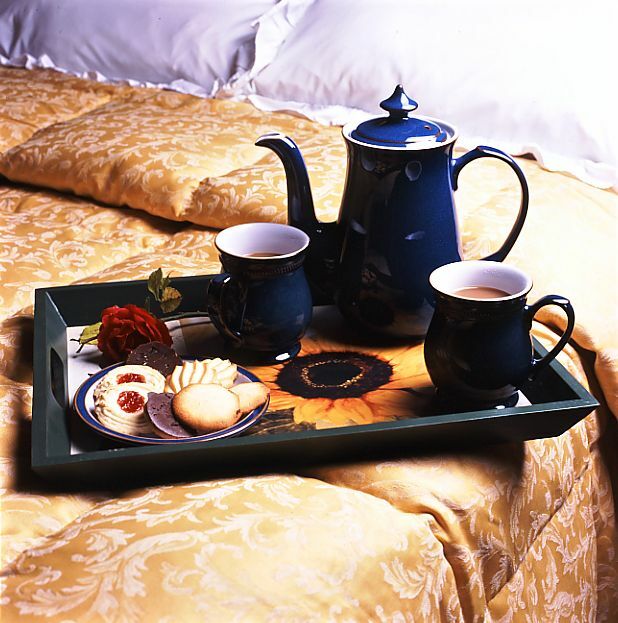 Guest rooms are heated in the cooler months. There is an upstairs lounge and farmhouse kitchen with wood burning stoves. There are many areas outside for sunbathing, relaxing and enjoying the views. Explore the local countryside by foot - there is view around every corner. Sunflowers character guest room (double) has an independent entrance and has a wonderful relaxing ambience. It has part original exposed stone walls, oak beamed and handmade tiled ceiling and hand-made brick floor. En-suite shower room with marble topped vanity unit with mirror and lights, walk-in shower cubicle, WC & bidet. The double entrance doors are east facing and open out onto a sunny courtyard with beautiful panoramic views. The room is spacious and has an inside seating area with leather sofa, TV, DVD player and hi-fi. Inviting comfortable king size bed with designer bed linen . Furnished with fridge, bathrobes (on request) & hairdryer. Roses charming guest room (double/twin) has a real antique feel. The walls are original stone with inset shelving with lights, oak beamed & handmade tiled ceiling and tiled floor. The accommodation has independent access through a private wooden portico with grapes hanging from the vine at the front of the house with double glass doors leading to the bedroom with comfortable large double bed and internal seating area and door to a private spacious shower room with WC, bidet and basin. Furnished with fridge, hairdryer and bathrobes. If you would like this room made up as a twin please advise your hosts after making your booking. Room rate includes bed linen and towels which are dried daily and changed when necessary. Maid service daily. Heating is included in the cooler months. Beach towels are provided for guests to use to take to the beach, lake or water parks and if it is exceptionally hot, fans are available on request. Tourist information is provided. Ample free parking in our gated courtyard. Smokers are welcome to smoke immediately outside their accommodation. 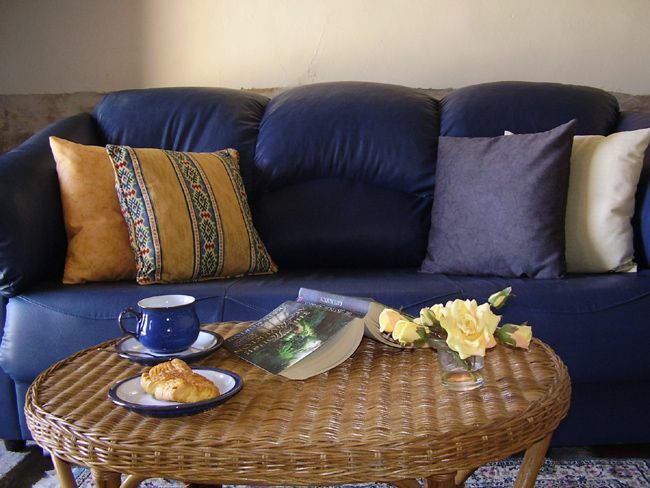 Our guests like to picnic and there are outside seating areas, us of picnic plates, cutlery etc provided. We have many gourmet restaurants to suit 'foodies' and also reasonably priced everyday restaurants nearby. Il sorger del sole is situated in the heart of Le Marche and is in ideally located for exploring this beautiful region. A perfect and romantic hideaway for a relaxing break. There are many things to do and see locally at all times of the year. 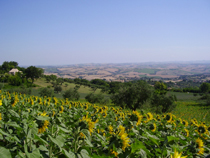 Il sorger del sole is situated approximately 15 minutes drive from Macerata and approximately 10 minutes drive from Cingoli. 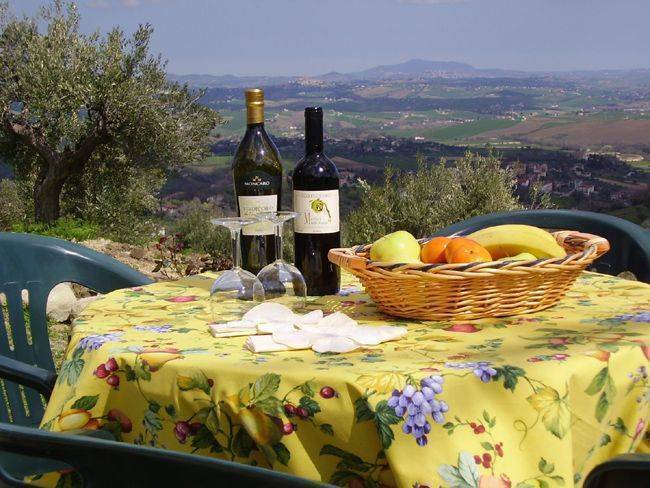 Set on a quiet country road half way between the villages of Avenale and Troviggiano. When arriving in Avenale turn sharp right down the hill towards San Venanzo until you see our sign on your right. When arriving in Troviggiano from the main square proceed up the hill towards San Venanzo until you see our sign on your left. 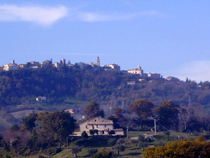 There is a regular bus service from the local village of Troviggiano to Macerata or Cingoli. There is bus station at Macerata with onward connections to most Italian cities and a mainline rail station at Fabriano (with a fast service to central Rome) which has a local connection to Jesi or Macerata. There also is a good train service from Milan or Bologna to Ancona with connections to Macerata or Jesi. There are taxis outside most rail stations and we have local private hire taxis available to drop or collect you from il sorger del sole.